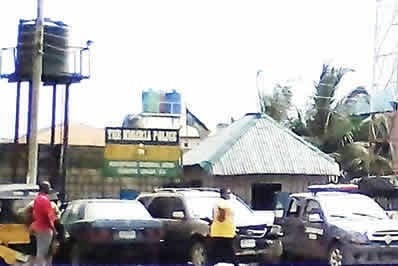 SEVERAL hours after soldiers sacked a police station in the Obio/Akpor Local Government Area of Rivers State over the killing of an unidentified soldier, policemen attached to the Rumukpakani Police Station have refused to return to their duty posts. A policeman had on Thursday shot and killed the soldier, who was in mufti, after tagging him an armed robber. The deceased soldier was said to have come out of a hotel armed with a pistol before he was accosted by a team of policemen, who allegedly shot him, after he tried to identify himself. Dissatisfied with the killing of their colleague, some soldiers had stormed the Rumukpakani Police Station, and reportedly arrested the Divisional Police Officer and eight others, including the policeman who shot the soldier. One of our correspondents, who was at the police station, observed that the station had been deserted. An eyewitness, who spoke on condition of anonymity, said, “The policemen, who took the soldier’s corpse to the Rumukpakani Police Station, celebrated because they thought that they had killed an armed robber. A policeman attached to the station told our correspondent that policemen had abandoned the station. The state Police Public Relations Officer, Mr. Nnamdi Omoni, confirmed the killing of the soldier. He added that the Commissioner of Police, Mr. Zaki Ahmed, was already meeting with relevant authorities. Iliyasu said, “The incident is now being jointly investigated and there will be a joint statement on the matter,” he added.